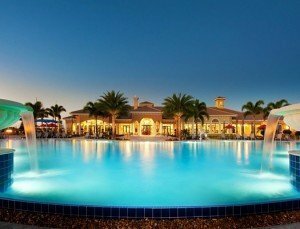 Del Webb Naples strives to make residents feel like they’ve stepped into a paradise. Situated in the sunny town of Ave Maria, one of Del Webb Naples’ biggest assets is its location. Only a few miles away from pristine beaches that are famous for their beautiful weather, a trip to the ocean is easy and relaxing. But Eastern Collier County, which surrounds Ave Maria, offers much more than lovely weather and stunning beaches. There are also golf courses and world-class dining and shopping for those with a taste for the urban life. Cultural stops and entertainment are also popular near Ave Maria with places such as the Seminole Casino, Corkscrew Swamp Audubon Sanctuary, Naples Zoo at the Caribbean Gardens, the von Liebig Art Center, and the Naples Philharmonic Center for the Arts. 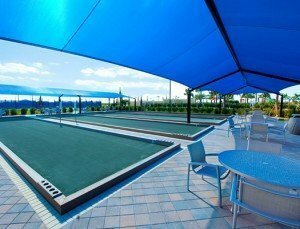 There’s an exciting variety of ways to spend a day out and about while living in Del Webb Naples. 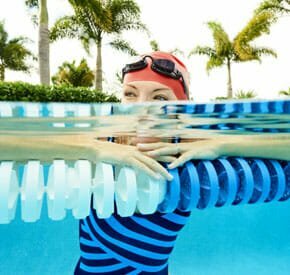 As an adult retirement community, staying active is a staple at Del Webb Naples. Amenities that keep homeowners moving are abundant including an 8,000 square-foot resort pool with beach entry, a state-of-the-art fitness center, an 18-hole professional golf course, a three-lane lap pool, cushioned asphalt tennis courts, bocce ball and pickleball courts, and a movement studio for yoga, dance, and other fitness classes. In addition, clubs are an important feature of this community and there are groups for special interests such as sewing, art, books, cooking, cards, and more. Also, educational opportunities are available for those who like to attend academic lectures, Spanish classes, and other continuing education courses. The social atmosphere at Del Webb Naples thrives with many events offered to give residents the opportunity to make new friends: potlucks, movie nights, game nights, and group dinners are at the heart of the community. 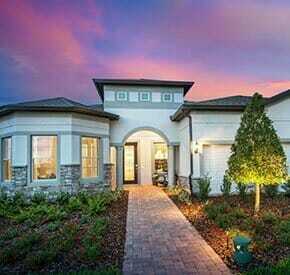 Del Webb Naples also has a wide variety of home designs. With prices starting in the low $170s and single-story homes ranging from 1,130 to 2,550 square feet with one to three bedrooms, every potential homeowner can find a home that’s right for them. 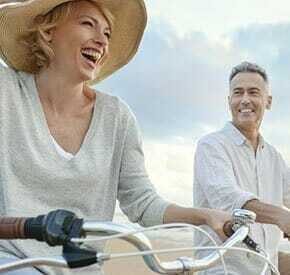 If you’re looking for a place with a fabulous location, a focus on an active, social lifestyle, and affordable prices, Del Webb Naples is the perfect place to look.